I recently began reading the book Quiet, The Power of Introverts In a World That Can’t Stop Talking by Susan Cain. At last, a book devoted to My People! With any luck, I can connect with other introverts just by reading it — without ever leaving peace and quiet of my apartment! It’s true. I am an introvert – based on Carl Jung’s classic definition of the word. We introverts can be quite misunderstood, and people who know me often express surprise when I say I am one because I’m not shy, I don’t have a fear of public speaking, and I function reasonably well at social events with people I don’t know. Yet while I am not the Unabomber, I have indeed tested positive for introversion. When I first took the Myers-Briggs personality test a few years ago, I was surprised to fall into the introvert category because I am, you might say, slightly outspoken. When I read the definition, however, it was like so many puzzle pieces falling into place. Most telling for me was the Jungian/Myers-Briggs belief that when extroverts want to recharge their depleted batteries they go to a bar or throw a party. They are energized by people and activities, whereas introverts like me prefer to recharge in quiet and solitude. 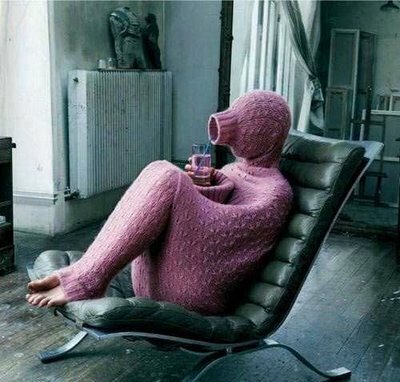 As Susan Cain describes it, “Introverts may have strong social skills and enjoy parties and business meetings, but after a while they wish they were home in their pajamas. They prefer to devote their social energies to close friends, colleagues and family… and often feel as if they express themselves better in writing than in conversation. Many have a horror of small talk, but enjoy deep discussions.” In other words, Susan Cain just gets me. A related theory about introverts is that they prefer to socialize one-on-one, or in very small groups. This also resonates with me. I have often wondered how I came to establish so many friendships throughout my life… yet my friends generally do not know each other well. In fact, a number of my longtime friends have never even met. (I sometimes worry that each friend secretly believes the others are imaginary.) The last time I had a default “crowd” that I socialized with… I was in college. Full disclosure: I have not yet finished the book, and have found myself skimming its more fanciful sections. (For example, at one point the author suggests that Americans might be more introverted than Europeans through genetics, as immigrants are likely to have been more extroverted and action-oriented than those who stayed put. Seriously?) I have, however, enjoyed Susan Cain’s analysis of introversion overall. That said, my real focus here is on her study of corporate America, and the dominance of extroverts in today’s workplace. The hair on the back of my neck is standing on end as Cain describes companies where the most assertive and domineering in the room do most of the talking (and very little listening), and are therefore very good at getting their way… even if it’s not the RIGHT way. All this by Chapter Three — which might as well be titled “Monday”. Welcome to my world.